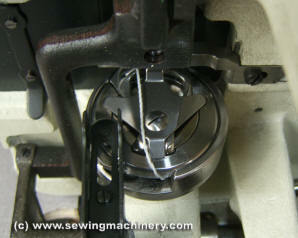 Seiko SKZ-6 & SKZ-6B heavy duty, single needle, zigzag sewing machine with extra large capacity hook for use with heavy weight materials & thick sewing threads. 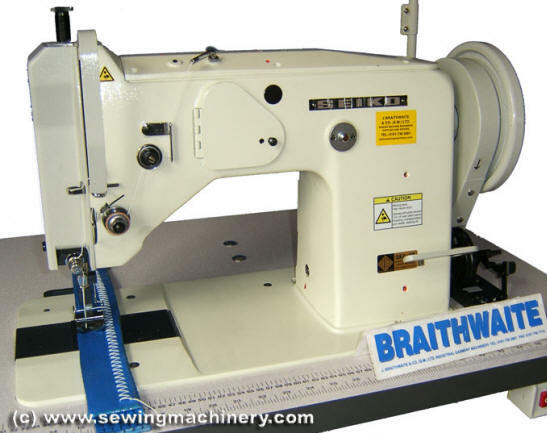 Suitable for sewing items such as sails, luggage, rope, nets, carpets, slings, belts etc. Models also available with puller feed device. Other Light, light-medium & medium-heavy weight Zigzag machines also available.